According to HTC’s Senior RF Designer Kevin Duo, the phone will be paired with Qualcomm’s new Snapdragon X50 5G modem. HTC is currently going through a tough time. It laid off a quarter of its total employees in Taiwan after registering a 55.4 percent drop (year-on-year) in sales in April 2018, and is allegedly wrapping up its India operations. But this is not holding back the Taiwanese tech giant from launching new phones. At IFA, it launched the HTC U12 Life with 6-inch Full HD+ display, and now, it is reportedly working on its next smartphone that it says, will be powered by Qualcomm Snapdragon 855 and feature 5G support. According to HTC’s Senior RF designer Kevin Duo (via TechSpot), the company is currently sampling the Snapdragon 855, which is expected to bring performance and efficiency bumps over the current Snapdragon flagship. The executive notes that HTC is also experimenting with Qualcomm’s Snapdragon X50 5G-ready modem that is expected to be offered as an optional part of the chip, which features an X24 LTE modem as standard. The phones featuring the Snapdragon 855 SoC are expected to come from the second quarter of 2019, therefore, HTC could launch this smartphone next year. 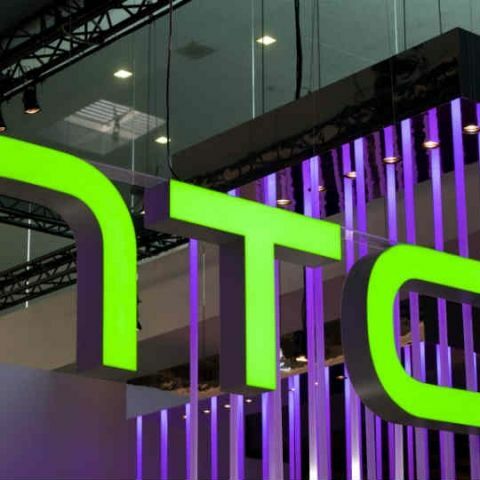 In June, HTC has announced that it will layoff over 1,500 employees, which is nearly 22 percent of the total strength of its domestic manufacturing division, to cut the losses it has been experiencing for quite some time now. This is nearly a quarter of the total 6,450 staff it employed globally as of June. The development came after it announced that it made 10.89 billion $NT (approximately $365.3 million) in the first quarter of 2018, which is a 43.4 percent drop from the first quarter in 2017. Qualcomm working on a Snapdragon 818 deca-core SoC? The Taiwanese consumer electronics company was also reported to be shutting its business in India. Nearly 70 members of the team who handle various operations in the country have resigned from their posts. The list includes Country Head - Faisal Siddiqui, Sales Head - Vijay Balachandran and Product Head - R Nayyar. Company’s Chief Financial Officer in India, Rajeev Tayal, will continue to work with HTC. The company is also reportedly bringing an end to all distribution agreements in the country.